Librarians are many things: caretakers, teachers, guides, support. These roles reflect the work that we do and the relationships we have with our patrons. Yet there is another role many of us fill, whether as a requirement for our tenure dossiers or out of general interest (or both): We’re scholars. We write. Whether you’re writing books, articles, or blog posts, writing is a task that takes dedicated, regular time to pursue. And I imagine for many of us (certainly for me), it’s a task that often takes a backseat to all those other roles we play. Strategies abound for how to carve out time for writing: Set aside two hours every morning. One day a week. Write in the evenings. On the weekends. I even have a colleague from another library on campus who gets up at 3 or 4 in the morning to write first thing (well, maybe she grabs some coffee first, at least!). These can all be good strategies, but we know that life as a librarian can be unpredictable; we don’t tend to have the luxury to forecast how the day will go. I’ve tried setting aside a day a week for writing this semester. Ask me how many times that’s worked out. Go ahead, ask! Like many of you I’m sure, I have several irons in the fire, but sometimes I’m lucky just to keep the embers glowing at all. A couple of years ago, a few of the pre-tenure librarians at my library – facing this need to publish for tenure, and needing some accountability to keep these projects moving along – decided to form a group that would meet monthly to discuss the status of our writing projects. We could field ideas off each other, edit each other’s works, and consult with our supervisors to ensure that we’re taking the necessary steps to successfully complete this leg of tenure. While the initial conception for the group was to limit it to pre-tenure librarians, we realized that any tenured librarian considering going up for promotion to full librarian would likewise need to increase their publication load, so the group expanded to include all of our librarians. In the planning phase for the group, we jokingly called it “Collaboration Station,” but the cutesy name stuck. We began meeting in the summer of 2015, first monthly, then once a semester when the school year began. Over bagels and coffee, those with writing projects in the works (or even just in their heads) share what they are working on, ask questions if they are stuck or looking for ideas, and generally open the floor to discussion. Admittedly, at our first meeting, the cynic in me wondered whether most people would show up just for the free breakfast! On the contrary, over half the room talked about writing projects they were considering or already working on; and even those who did not have a planned writing project had insightful comments to share with those who did. The first several meetings each began with a short presentation about the different stages of the writing process, highlighting suggested tools or resources to facilitate that stage. This information was gathered into an internal LibGuide for later reference. (I would share the link to the LibGuide, but it contains login information for a few of our electronic resources, and I wouldn’t want to violate our contracts!) 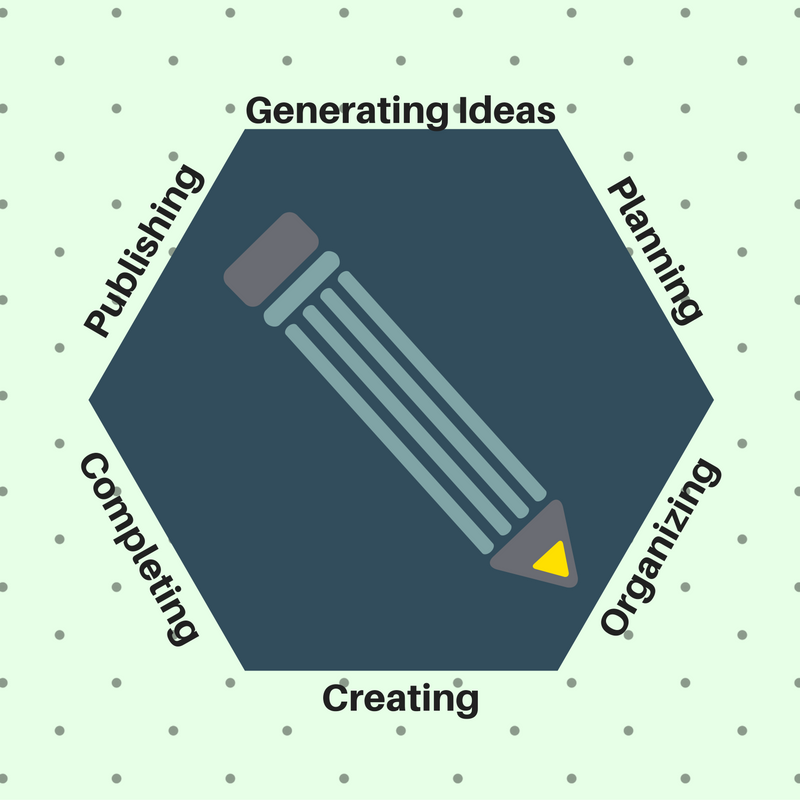 The guide contains information on finding a writing topic, getting organized, staying focused while writing, and tips for revising and completing the work. It then includes publication information for several law librarianship publications (Law Library Journal and Spectrum, of course, but also Legal Information Review, Legal Reference Services Quarterly, and more), including the scope of the publication and when and how submissions are received. We did not limit the list to law librarianship publications alone, but those certainly are the focus. As with any LibGuide, this guide is always evolving as new resources come to light. In the end, has this group moved my writing along? Has it turned me into a more productive and efficient writer? Well…no. This group has no control over the unpredictability of my day or the volume of my workload, so I cannot say that I have magically changed into a prolific writer. What I can say is that meeting regularly with this group, at the very least, causes me to regularly reflect on the status of my writing projects, which typically leads to at least some work on them, whether it’s the creation of an outline or the writing of a few paragraphs. It has also led me to more targeted prioritization and scheduling of my time. For instance, now that my teaching is done for the semester, I am determined to put a new emphasis on completing some of my existing writing projects. I’ll have a manuscript to present to the group at our next meeting if it’s the last thing I do! What’s more, meeting as a group has allowed us to get to know each other as scholars, not just as librarians, which has led, in some cases, to collaborations that otherwise may never have occurred. It’s these meetings of the mind that are perhaps the best product of Collaboration Station because when we share and build off of each other, our ideas have the potential to become greater than we imagined, not only in scholarship, but in service to the library itself. I am the Educational Technology Librarian at Indiana University's Maurer School of Law. I am deeply interested in exploring how emerging and existing technologies can be used to enhance library services and legal education. This entry was posted in Career, Writing (generally) and tagged collaboration, publication, Scholarship, writing process. Bookmark the permalink.